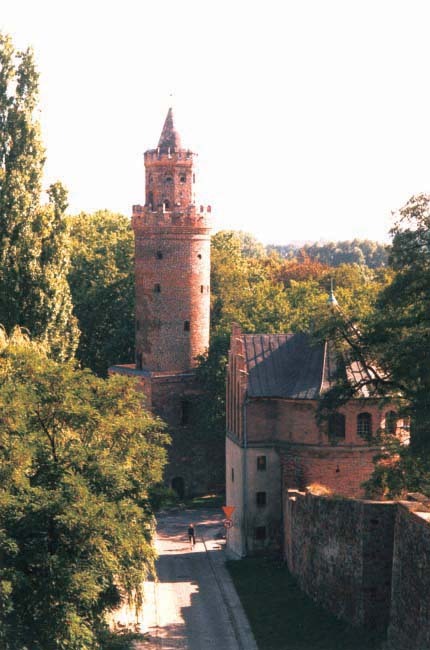 You are in the right place, because our town can be named as an example of Pomerania's history. 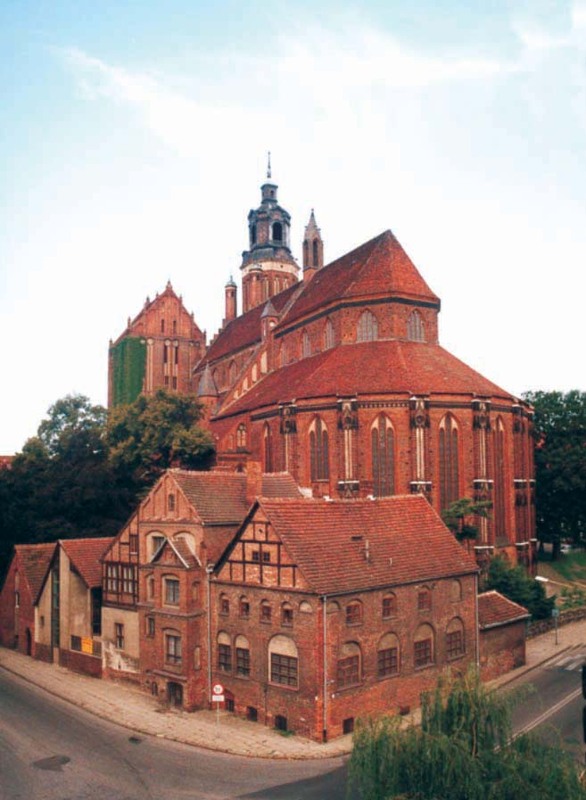 The amount of historical buildings and their class puts Stargard in the first place among the Middle and Western Pomerania's historical towns. The most interesting place is the area of the old medieval town, which gave the beginning to today's Stargard with its 75000 inhabitants. 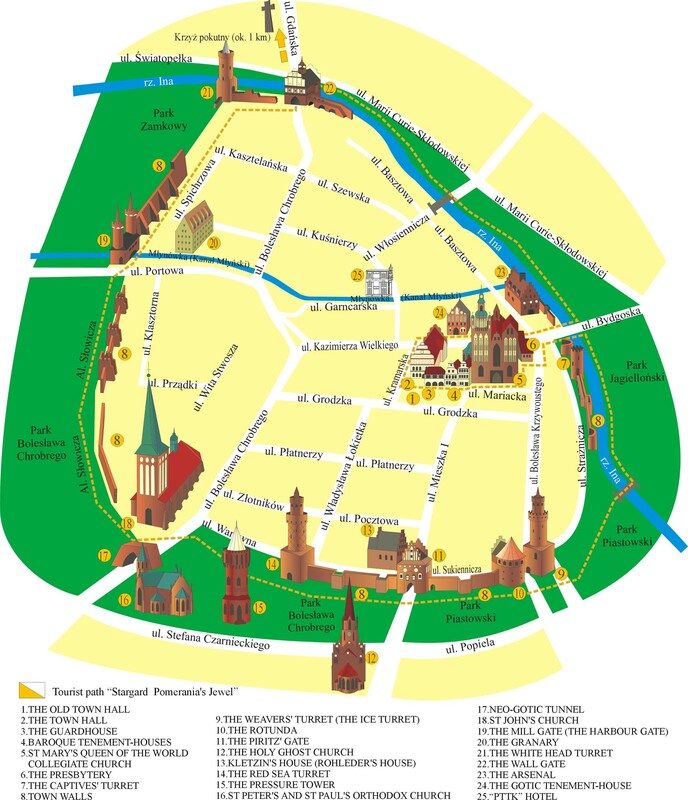 To help you know the town better, we marked out the Old Town Path called “Stargard Pomerania's Jewel”. This path enables you to visit the most important historical buildings, which illustrate the special features of Ina-river town. The path leads mostly through 3 km long park from 18th 19th cent. 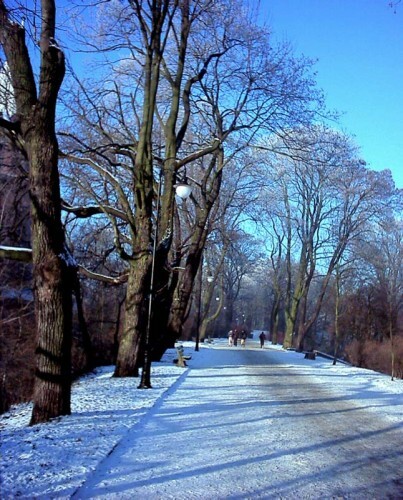 Park is situated along the great town walls, bastions, moats, gates, turrets and rotundas, that can be compared with the famous ones in Cracow. High church towers (including St Johan's the third highest church tower in Poland), the biggest turrets in Poland, and one gate of two in Europe stretched over the river's bed. But the greatest pleasure would be to visit the monumental St Mary's collegiate church the most beautiful, gothic, brick church in Poland. The “Stargard Pomerania's Jewel” Path makes a circle, thus you can, dear Friend, begin in every place suitable for you. The whole path takes about two hours, although if you want to visit museums, climb up to the view-point and in the end rest in one of the picturesque parks you will definitely need more time. We assure you it will not be wasted. 1. 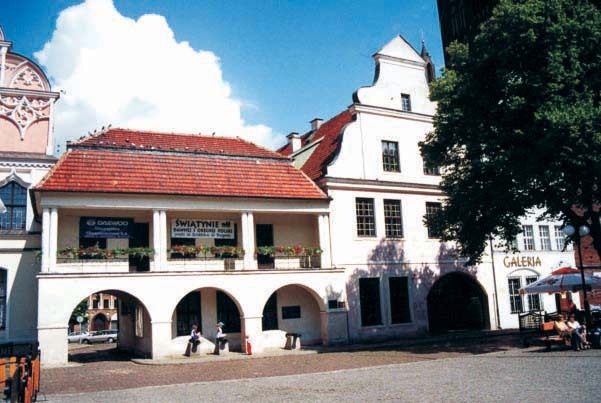 The Old Town Hall - the medieval town's heart. It was built during Stargard's foundation. Around it are the most important town buildings and rich citizens' houses. Up to the last century markets. 2. 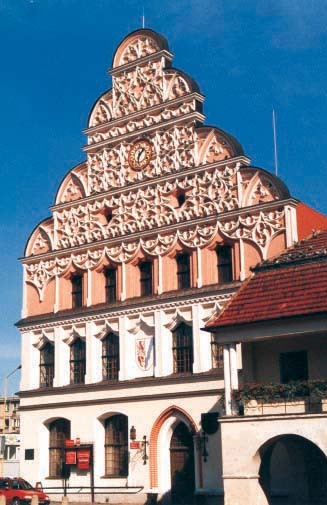 The Town Hall - the biggest medieval town hall in Pomerania. Built around year 1250, rebuilt in 14th cent. Today's late-gothic fasade dates from the second half of 16th cent. Gables decorated with ingenious net-tracery. The great fire in 1635 destroyed the Town Hall together with town's archives. It was rebuilt but destroyed again in 1945. Rebuilt in 1957 - 61. 3. The Guardhouse - from around year 1720 in baroque style. It was the seat of town's fire brigade. Probably the first in Pomerania. Nowadays the Museum. 4. Baroque tenement-houses - around the Old Town Market. No 3 - 17th cent. (New Stock Exchange? ), rebuilt after fire in 1635. No 4 built in the same period of time (instead of a church yard). After destruction in 1945 both were rebuilt in baroque style. In No 4 - seat of Tourist Information Centre, led by Stargard's Friends Society. 5. St Mary's Queen of the World collegiate church - the most precious West and Middle Pomerania's monument and the most beautiful gothic brick church in Poland. Inspiration for tens of buildings in at least three countries. Began in 1292, present form from 14th - 15th cent. Two-tower basilica church with chapels around the choir. 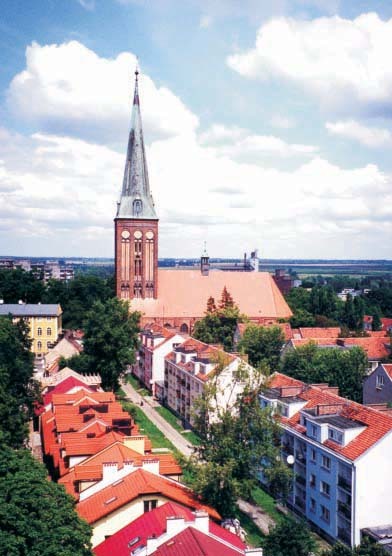 A typical Hanseatic town cathedral, represented only in the biggest towns around Baltic Sea. Delicate, ceramic elevation ornaments; original tower interior decorations so-called Stargard blend, unique triforium gallery in presbytery they all make for the higher rank of the church. The interior, after many destructions, is poorer: the altar from 1663, wall-paintings (15th - 18th cent. ), epitaphs, altars, framed chapels' entries (18th cent.) and stained glass (19th - 20th cent.). 6. The Presbytery Complex - the three oldest buildings are from 14th, 16th and 19th cent.. In 15th cent. the school, later: priests' and organists' flats, museums, deaconship, parish offices. 7. 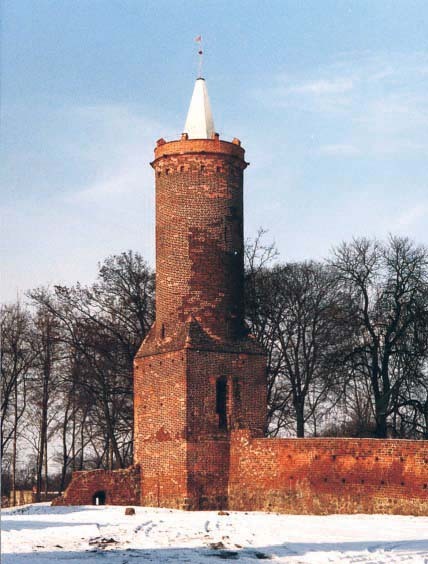 The Captives' Turret - 15th cent., the most simple of Stargard turrets (cylindrical form), 13 m high, crenelles. 8. 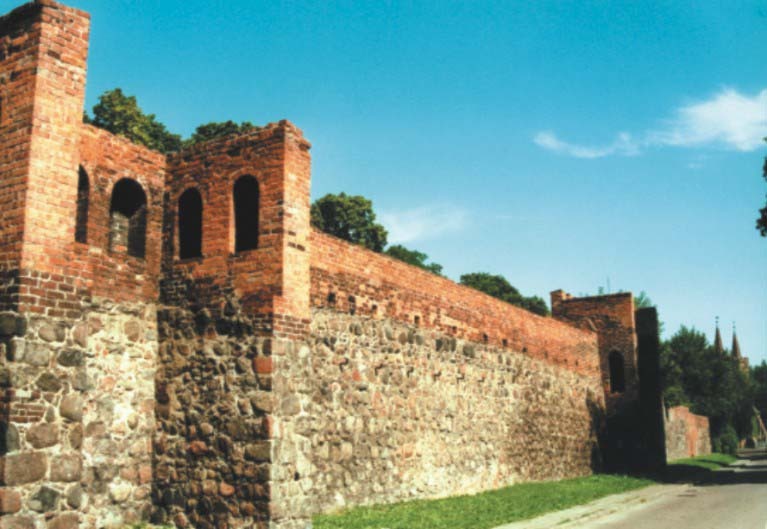 Town Walls - the basic element of Stargard fortifications, one of the most fortified towns in Pomerania. 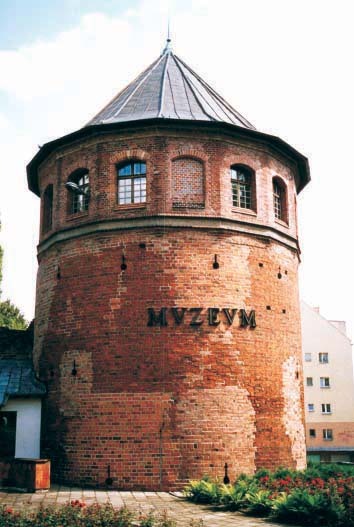 From the original 2260 m long wall-ring (the area it covered was two times larger than the Old Town in Poznań) only 1040 m survived. Up to 8 m high walls. Its defensive efficiency was improved by: watch towers half-turrets (45), turrets (9), gates with porches (4), basteis (4) and embankments with rotundas (mounded in 16th cent., heightened in 17th cent. ), separated from the walls by the inner moat and surrounded by the outer one. Walking down Aleja Słowicza along the old embankments you can see (marked on the map): an amphitheatre and a neo-Renaissance villa (1926) belonging to the Karows a meritorious miller family. Today the seat of Youth Social and Recreation Club. 9. The Weavers' Turret ( The Ice Turret, The Clothiers' Tower) - 15th cent., eight storeys, 31 m high. Apart from the Red Sea Turret it is the most splendid Polish turret. 10. The Rotunda - beginning of 16th cent. A piece of fortifications sticking out from the walls, adapted to fire-arms evolution. In 19th cent. Used as habitable room. Today the Museum department. 11. 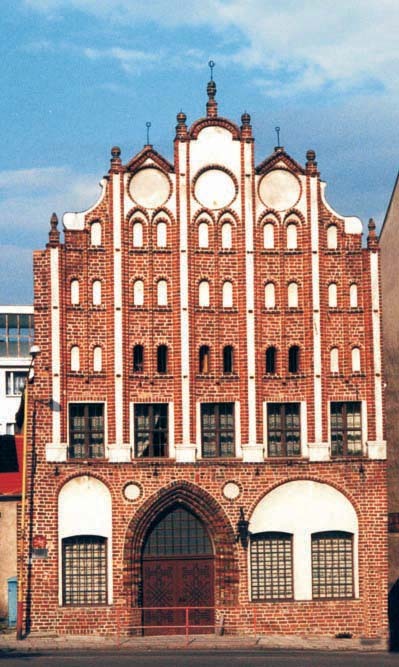 The Pyritz Gate - 13th - 15th cent., one of the most beautiful in Pomerania, similar in form to today's non-existing St Johan Gate. In front of it was a crossing between a route from Skalin and from Pyritz (called up to 19th cent. The Polish Way). 12. The Holy Ghost's church - built between 1874 77. Neo-gothic hall building with inner gallery, slender 50m high tower. The fourth church built in this place. 13. Kletzin's House (Rohlender's House) - first half of 16th cent. The seat of a wealthy trader. Richly decorated stone and brick gable. Building rebuilt after destruction in 1945. The seat of town's Public Library. 14. 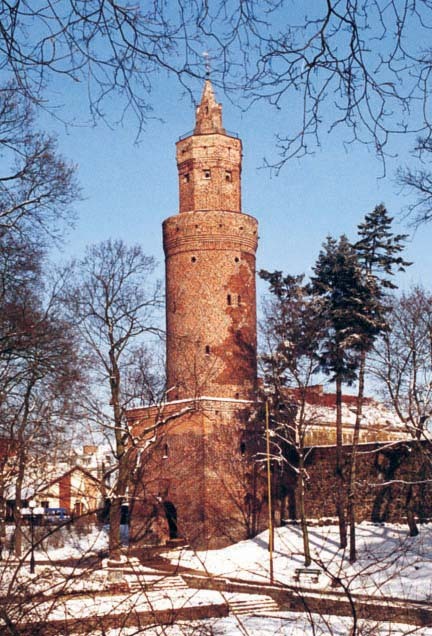 The Red Sea Turret - the biggest town turret in Poland, 34 m high. Seven stories, three defensive galleries. The passage was created in 1869. The name comes from red (bog iron stone) colour of swamps in front of the turret, or according to the legend from the sea of blood once spilled there. In high season a view-point. 15. 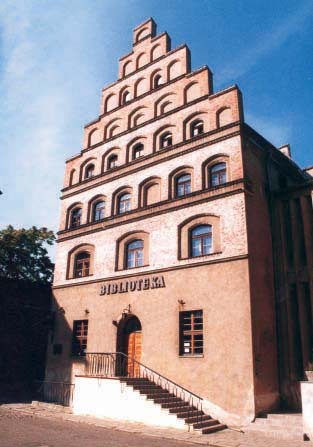 The Pressure Tower - 65 m high neo-gothic building from 1896 - 97. Richly decorated elevation. Rare technical monument from 19th cent. 16. St Peter's and St Paul's church - from 1890 - 91. Neo-gothic, on Greek cross location (33m high tower). One of five Stargard churches build in this period. Originally called Christ's church and belonged to the Reformed Church. From 1953 belongs to the Orthodox Church. 17. Neo-gothic tunnel - from 19th cent. Nearby was once a porch of St John's Gate. Near the tunnel there is the biggest Stargard bastion called “the Pot”, which except from its defensive roll was used in 16th - 17th cent. by bell-founders. 18. St John's church - Knights of St John of Jerusalem Church, three naves, in late gothic style. Began in 13th cent., finished in 15th. Tower has got so-called Stargard blend. 1892 1893 heightening of tower's dome to 99 m. In choir gallery unique crystal chapels' ceiling. 19. The Mill Gate (also: The Harbour Gate or The Water Gate) - from 15th cent., unique in Europe. In medieval times watch lowered a portcullis into the river for the night. It secured Stargard harbour, which was situated behind the fortification (an exception in this area), from intruders. Both towers have got so-called Stargard blend motive (the same as in St Mary's church). 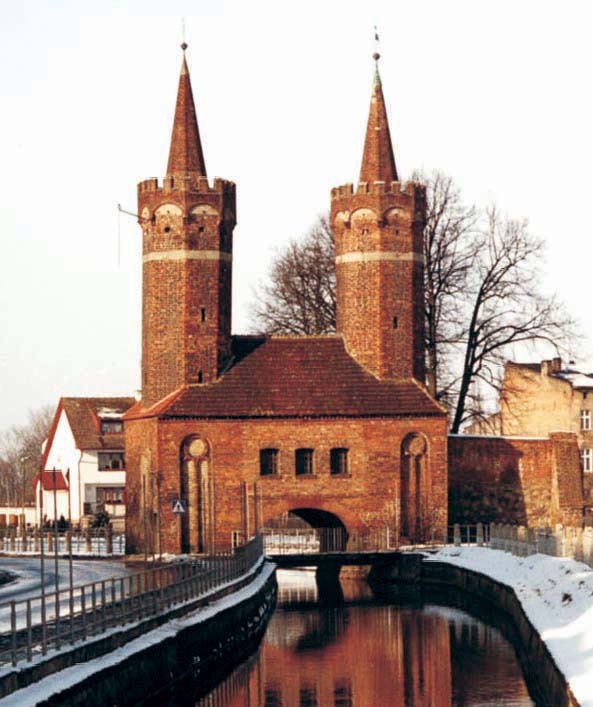 Today the Mill Gate is the seat of Stargard's Society of Fine Art Lovers. We are entering an island now. Here was the beginning of Stargard's township. 20. The Granary - 16th cent. In 18th cent. there was a king's salt warehouse, later a granary again. Rebuilt as the only one of four after 1945. 21. 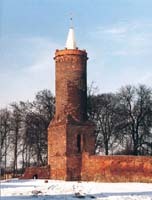 The White Head Turret - from the first half of 15th cent., 30 m high. Six storeys with prison dungeon. The entrance is levelled with the old wooden porch, that used to be there. The name comes from the colour of turret's top or according to the legend from women defending the turret (in old Polish woman could be also called białogłowa 'the white-head'). Behind the turret towards Ina-river was the castellan's seat, destroyed in 1295. The area was heighten afterwards, by strengthening the fortification with another artillery bastion. 22. The Wall Gate - from the first half of 15th cent. Renaissance gables and ave-bell (16th and 17th cent.). On the south wall latrine oriel. Before demolition in 1780 a porch with barbacane on the other side of Ina-river. After passing the bridge on Ina-river, we leave the island behind. 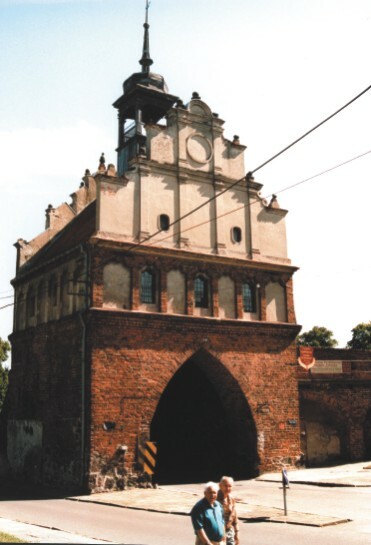 One km from Gdańska street (not on the Path) you will find the biggest 2,76 m high penitential cross in Poland (1542). It was made in Gotland's stone by Lawrence Mader as a penance for murdering Hans Billeke. 23. The Town's Arsenal - 1500. It was a place of production, reparation and storage of weapon. Later up to 1875 a criminal prison, from the beginning of 20th cent. in ruins. Rebuilt in 1974. The seat of town's archive. 24. Gothic tenement-house - (Protzen's House, The Old House) - from the second half of 15th cent. Rebuilt in 1957 - 59. Today the seat of The First Grade Public Musical School. Unique rich gable decoration, so-called Stargard blend. One of the finest, late gothic buildings in Poland. In addition to the buildings covered by the map we recommend: monumental, so-called red barracks from 1881 - 84, at 11 Listopdada street, the first High School building from 1882 (presented by Germans on the World Exhibition in Chicago) at 1 Staszica street, and the building of the nowadays Town Hall from 1901, at 17 Czarnieckiego street.